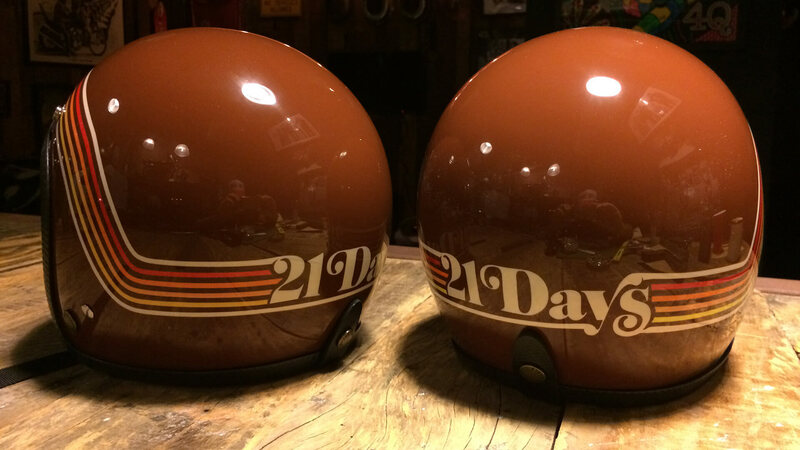 A fearless crew of adventurers take a 21 day, 3,800 mile ride across the country on vintage motorcycles. Their epic journey across the United States most majestic landscapes and scenery will test patience and challenge their internal will. 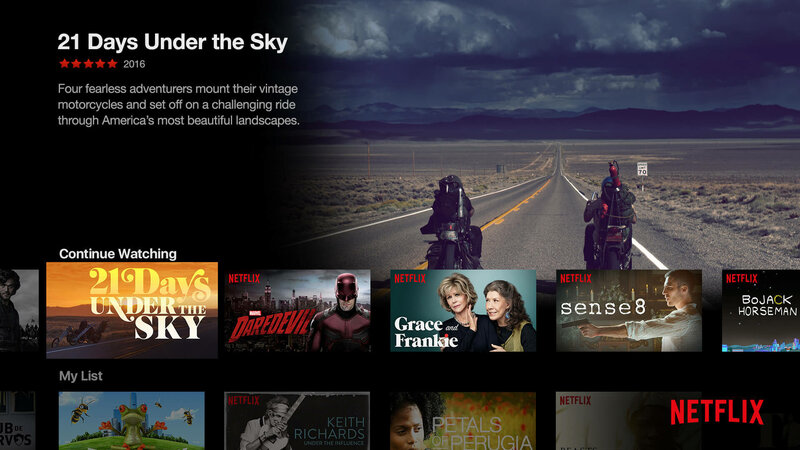 Blu-ray packaging was designed for 21 Days Under The Sky, as well as VOD assets for Netflix and other streaming services. Chargefield designed the title sequence for Mono, injecting a youthful vibe with animated hand written lettering. 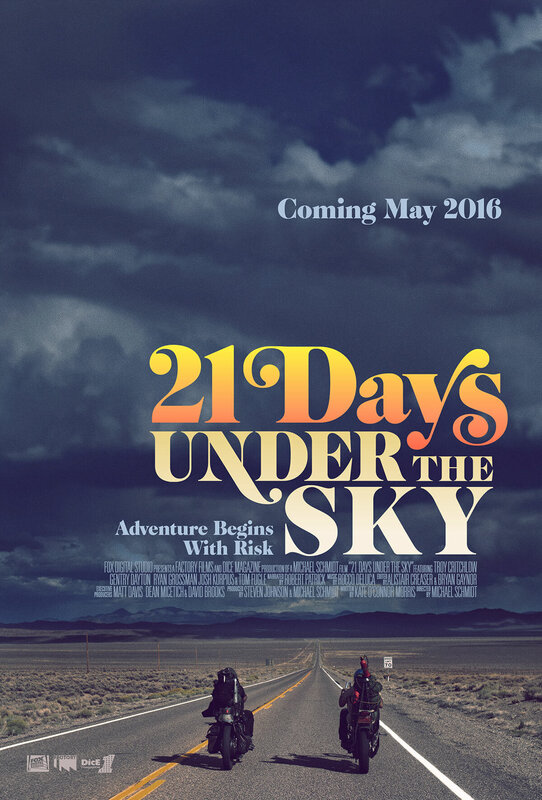 Chargefield designed a custom limited edition 21 Days Under The Sky helmet in collaboration with Joe King to promote the film.